Ok So I never did this, you guys know I hate to write reviews they are so much pain to write about, I find them boring, I love making videos about products as its faster to speak in videos then to write about products!! Ever since I did my Updated Makeup Collection 2014 On My "SuperPrincessjo YouTube Channel"
You guys asked me if I can do a lipstick collection!! I though Before I convert or throw away some I shall do it!! It may help some of you who wants to buy new makeup lipstick products. NOTE: This is only the Lipstick Collection, If I have missed any lipstick (That may be In My Purses or somewhere else in the House,I will update it here). I will do another separate post for the Lip glosses Collection & Lip products/ Lip balms!! 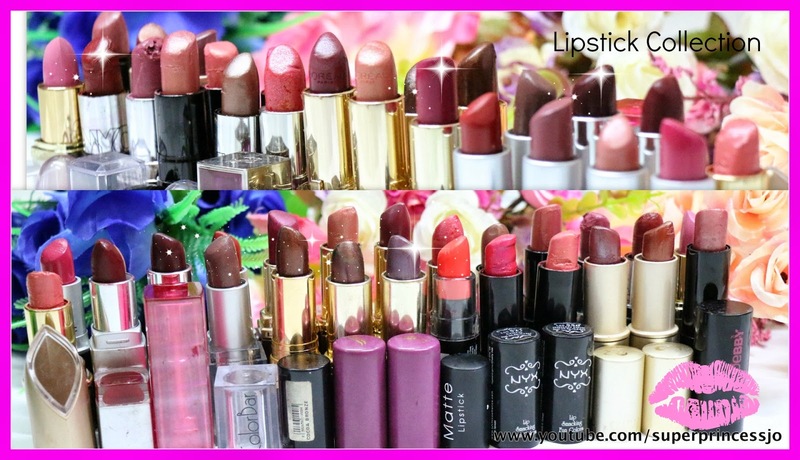 Now, I shall pat my own back, as I finished this long pending requested post & I am feeling relief to share finally the list with you guys, it will now be easy to add more lipsticks to this list as and on when I buy them .